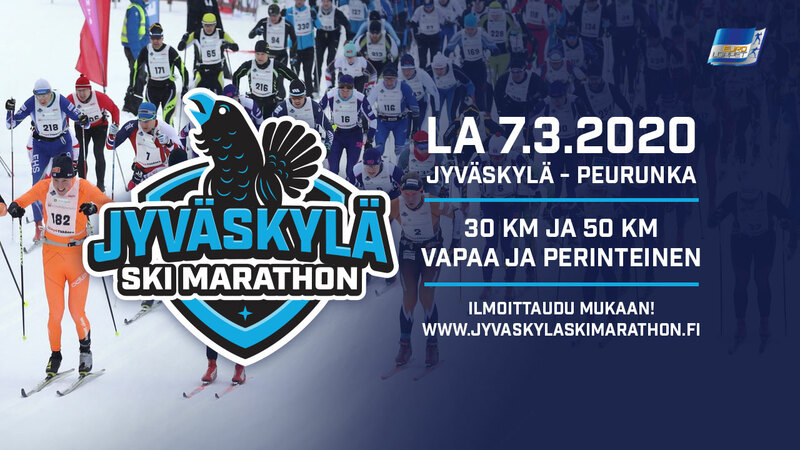 The event takes place on 7.3.2020 on beautiful ski tracks from Jyväskylä to Peurunka, Laukaa. 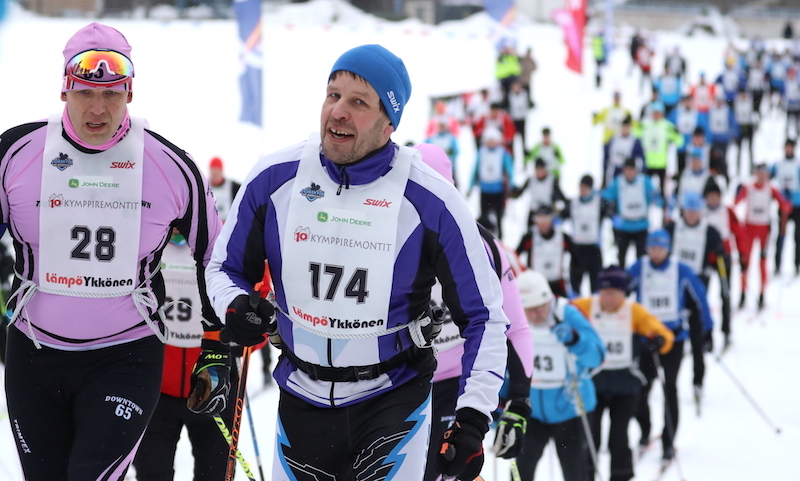 Jyväskylä Ski Marathon belongs for second year to series. There are two distances available for skiiers, the 50k track is skiied from Vaajakoski to Peurunka. The first half of this distance uses more challenging and hilly route whereas the second half is considerably flatter. The 30k distance is from Huhtasuo to Peurunka and it uses the same route as the latter part of the 50k route so it is considerably easier for the skiers. The finish line for both 30k and 50k is at Spa Hotel Peurunka. 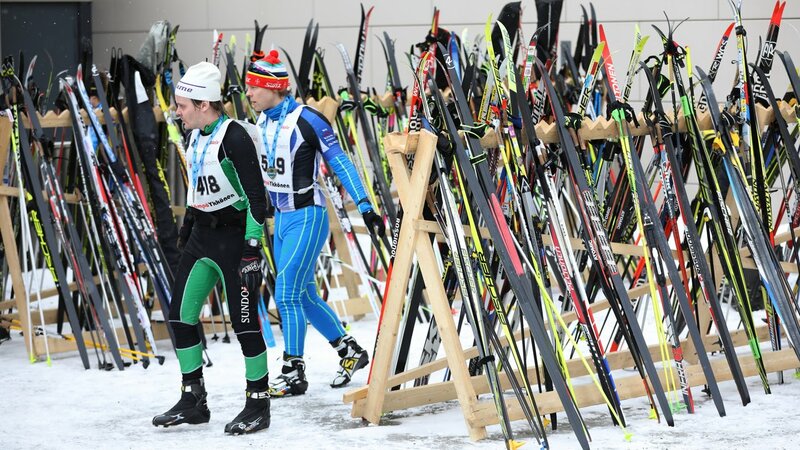 Jyväskylä Ski Marathon is suitable for both elite skiers and novices. We warmly welcome you to this event! 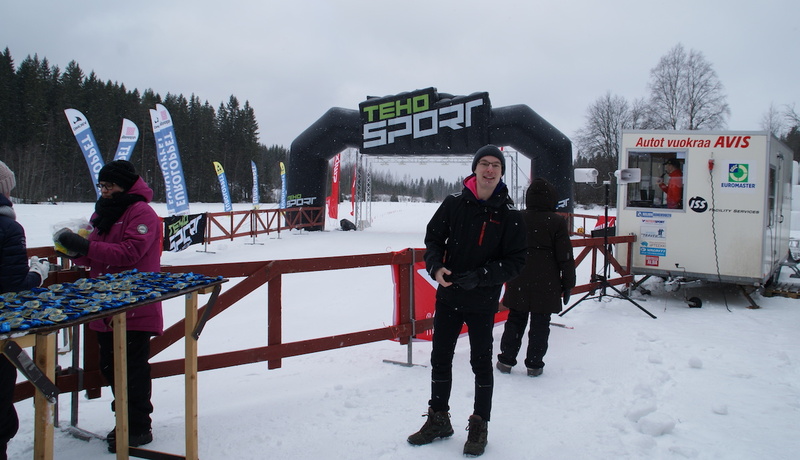 In Jyväskylä Ski Marathon there is SWIX-Sprint Competition in the 50k races (both in Classic and Free technic). In SWIX-Sprint Competition (at 14k) the fastest male and female skiers are given prize money awards. Three (3) fastest Women and men skiers in Classic and Free Technic 50km will be rewarded with cash prizes. In addition the winners of the sprint competition (Women and Men) will be rewarded with cash prizes. In the Women and Men series in both Classic and Free Technic 50km, six (6) best women and men are also awarded. In the Youth series (30km) prizes for three (3) best. In the age series Women40 / Men40, Women50 / Men50 and Women60 / Men60, three (3) best will be awarded. (both 50km Classic and 50km Free) will be awarded. In the Men70 series the winner will be rewarded (both in 50km Classic and 50km Free). NOTE! A lot of lottery prizes (among others Karhu skis, XXL gift cards, Swix products, etc.) will be drawn among all participants. The lottery awards are redeemable at the Spa Hotel Peurunka’s competition info with the number bib after skiing. The Award Ceremony will take place for Classic and Free Technic 50km and for 30km Youth Series around one hour after the winner has come to the Finish. The ceremony will be held in the lobby of the Spa Hotel Peurunka. The age series prizes are awarded immediately after the goal. The entry fees include services on the route in service pints, lunch at the finish, transportation of clothing from start areas to finish at Spa Hotel Peurunka), Sauna and shower at finish (If you prefer entering the other spa facilities, you can purchase separately ticket to the spa facilities with a special price negotiated with the Spa Hotel). There is transportation organized from Spa Hotel Peurunka to the start areas in Vaajakoski and Huhtasuo. From finish there is a nonstop bus connection organized by the race organizators from Peurunka Spa Hotel to the start areas Check the transportation timetables from here. Race office is located in Shopping Centre Seppä (address: Ahjokatu 3-5, 40320 Jyväskylä. Map: https://goo.gl/maps/BrnXC4pd1SS2). The race office is open on 6.3.2019 from 12:00 – 21:00 and at the start places in Vaajakoski and Huhtasuo (address Vaajakoski Sports Park, address: Urheilutie 36, 40800 Jyväskylä. Map: https://goo.gl/maps/27sQucaMxY82 and Huhtasuo Sports Park, address: Kangasvuorentie 22, 40320 Jyväskylä. Map: https://goo.gl/maps/S1VZ4arUmTR2) on 7.3.2020 opening 2 hours before the start times. From the race office and start places the participants will get the race number and start package. Euroloppet Passports are stamped at the Finish at Peurunka Spa Hotel, look for race information desk. You can get the stamp till 18:00 at the race day. Late registration ends on Friday 6.3.2020 at 21.00 at the race office (Shopping Center Seppä, address: Ahjokatu 3-5, Jyväskylä).